Eric Radz | Schulman, Hershfield & Gilden, P.A. Eric Radz is Counsel with Schulman, Hershfield & Gilden’s litigation practice group. Mr. Radz is an esteemed attorney with diverse experience in business law, contracts, employment law, personal injury, medical malpractice, medical marijuana law, and complex civil litigation matters as well. Mr. Radz has eleven years of experience in the construction law arena, including contract formation, construction disputes and insurance coverage issues on a variety of private and public projects. He has represented both contractors and sureties in performance and payment bond disputes. He has experience representing owners, general contractors and subcontractors in contract negotiations, contract disputes, construction defect cases, equitable adjustment claims and bid protests. 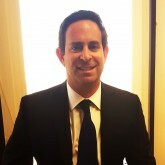 Mr. Radz earned his undergraduate degree from the University of Michigan in 1998 and his law degree from the Benjamin N. Cardozo School of Law at Yeshiva University in 2001. He is a member of the Maryland State, Baltimore City, New York State and New York City Bar Associations, as well as the Construction Forum of the American Bar Association. Mr. Radz volunteers as a board member of the Pro Bono Counseling Project where he is currently serving as President-Elect. Prior to joining Schulman, Hershfield & Gilden in 2015, Mr. Radz was an associate attorney with Ober|Kaler in Baltimore, Maryland, Agovino & Asselta, LLP in Mineola, New York and the Law Offices of Allen Bodner in New York, New York.